It's not what you (might) think. 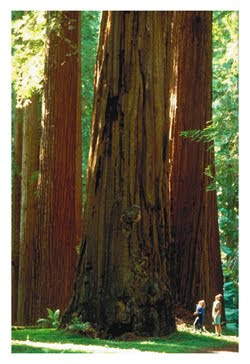 It came from a sequoia tree, the tallest tree in the world. That's right, I'm going to grow my very own Redwood Forest right here in the Heart of America. 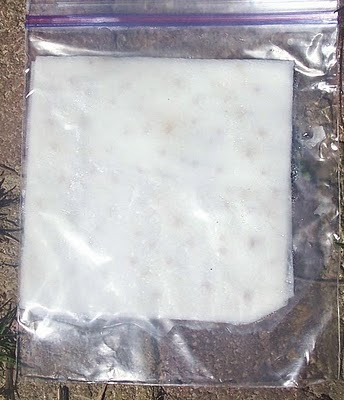 The seeds are happily germinating (I hope) in a Ziploc® bag between two wet paper towels. Fourteen years and three months from now I'm going to have the freshest lemonade in all of Kansas City! Now if I can just figure out how to germinate a coconut... or where to find the seeds in a pineapple... Google will be there for me when I'm ready. Professor Ulichne assures me that at some point in the distant future, Kansas City will be beach-front property. This is one the ways I'm preparing for that. No problems, only solutions! Watch and wait! Hmmm? Oh. Well, there wasn't much action in the Ziploc so we're trying direct seeding now. 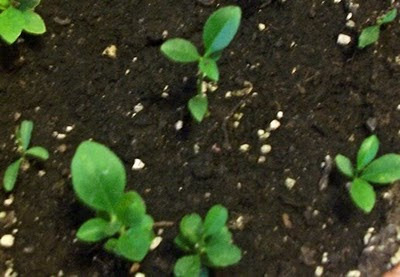 However, I'm aware that the odds are abysmal, so I'll probably end up ordering a bunch of these cute little seedlings and try to give them a happy upbringing. Though after reading an article about what a redwood can do to the property in the neighborhood in which it grows, I know I'll have to keep my redwoods mobile for several years, then I'll buy a plot of land in Kansas and grow my redwood forest on the prairie. It will give weary travelers something to look at in the distance on that loooonng journey to and from Denver.